It's important here to mention a few words about endorsements. I don't believe in them. I have a couple problems with the whole idea. The people who play my guitars do so because they love them, not because they got them for free. The most visible (famous) players are the ones who can most afford to buy instruments. Sometimes some "creative financing" for struggling musicians can be worked out but please don't ask me for an "endorsement" and I won't ask you... That being said, below are some musicians that do play Granata Guitars. 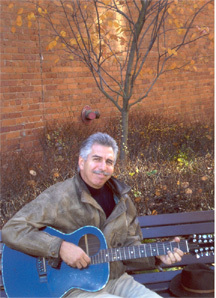 Cliff Eberhardt is a gifted singer-songwriter and guitar player. 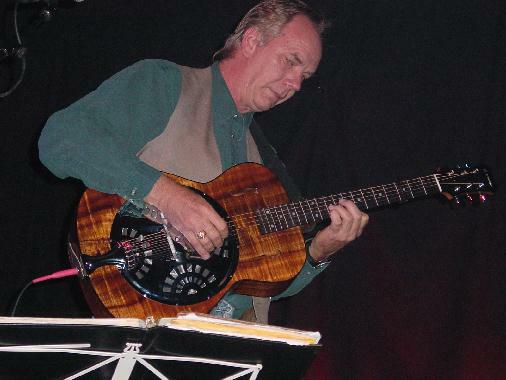 He plays several Granata Guitars including a resonator. 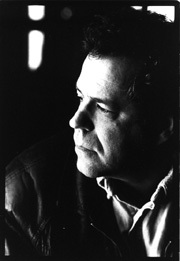 More info on Cliff, including his touring schedule is available at his website. 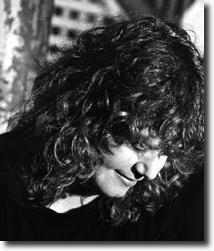 Cheryl Wheeler is another gifted singer-songwriter. Besides being a talented player, she is also renowned for her hilarious improvisational storytelling between songs in her live performances. She plays a 00 Granata nicknamed "Alice". More info and touring schedule at her website. Don't know Eric Taylor? You should. At the top of the list of songwriters to come out of the Texas scene, Eric is stunning audiences everywhere with his effortless fingerstyle and knock 'em dead songs.